Clips hold papers securely without tearing. Plastic divider box with eight sections. Includes 100 clips each of eight assorted colors. Nylon-coated No. 1 clips hold securely. 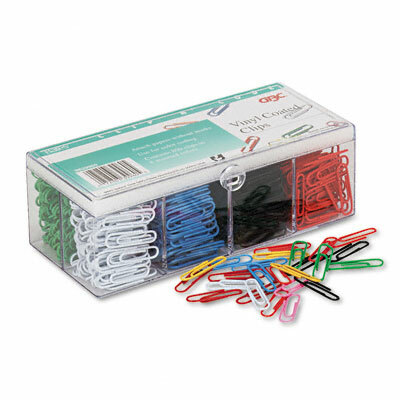 Plastic divider box with eight sections holds 100 clips each in eight assorted colors. Clips hold papers securely without tearing.